In a study of 2.8 million listings, Zillow Digs uncovers that it’s not always the fanciest offerings that sell. It used to be a real estate listing with “Jacuzzi tub” or “crystal chandelier” would draw a lot of eyeballs, leading to higher prices and a speedy sale. These days, a barn door might be the golden (or wooden) ticket. According to a report released on Tuesday by Zillow Digs—the real estate site’s design and home improvement cousin—a sliding door might help a home fly off the market 57 days faster and fetch a13.4 percent higher price than homes without it. Scouring listing descriptions from 2.8 million condos and single-family homes sold across the country between January 2014 and March 2016, the study’s authors marked keywords from “craftsman” to “solar panel.” They controlled for the size, age, and location of homes, comparing, for example, listings of similarly aged and sized houses within the same county that included the keywords (“granite,” “crown molding”) with those that didn’t. Then they created a statistical model to try to predict what a home with a pendant light or an outdoor kitchen might sell for, and how quickly, compared to homes without those attributes. The homes ranged in price from $20,000 (in many locations) to $88.3 million (in L.A.), and the median value was $232,000. 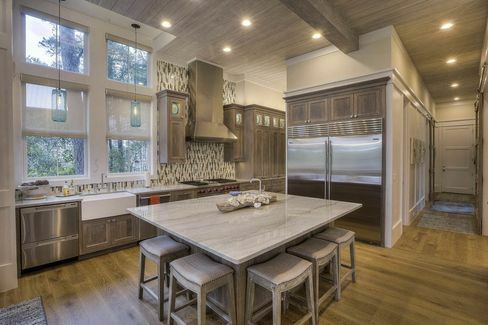 A “craftsman meets farmhouse” aesthetic is popular now with buyers, according to the study. “I can get an idea of how Americans are valuing these different home features,” says Skylar Olsen, Zillow’s senior economist. Olsen knows that having “barn door” in the listing alone doesn’t directly correlate to a higher price or a quicker sale. You can’t just slap a barn door on, or in, any old home and automatically, and dramatically, increase its value. “‘Causal relationship’ are strong words,” she says. Olsen adds, “They’re actually very expensive.” A farmhouse-meets-industrial “modern slab” barn door will run you almost $1,600. A black leather option with “barbed wire scar” trim is $3,500. 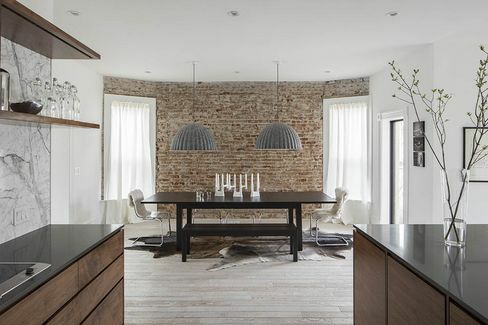 Pendant lights and exposed brick were two features that ranked high in Zillow Digs’ study. Listings with the words “subway tile” sold on average 63 days faster, and for 6.9 percent more, than those without it. The versatile tile can fit any house style, size, or budget. 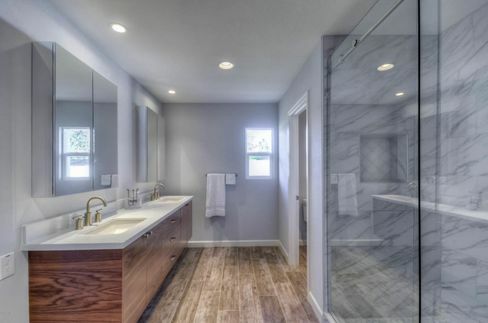 You can get glossy white tile for $2 a square foot, or, says Kelly, “You can get subway tile in Calacatta marble with a beveled edge.” The latter can run you $40 a square foot easily. Other features may be more of a surprise. Is a tankless water heater—which heats water on demand—really such a draw? Could be. Homes that included those words in the listing sold for 4 percent higher and 43 days faster than those without. Still a draw, but way further down the list, are features previously thought to fetch a premium or make a home sell more quickly. Homes with the keyword “Midcentury” in the listing sold for 2.7 percent more and 40 days faster than those without; exposed beams took in 2.3 percent higher prices and sold 19 days faster; the words “contemporary,” “chandelier,” and “solar panels” all saw prices 1.8 percent higher. “Jacuzzi” fetched a wee 0.9 percent higher price and sold 6 days faster. Listings with the words “breakfast nook,” just slipping in there with a 0.2 percent higher price, sold 21 days faster. Still, the low rankings of what we’d thought were givens come as a surprise. 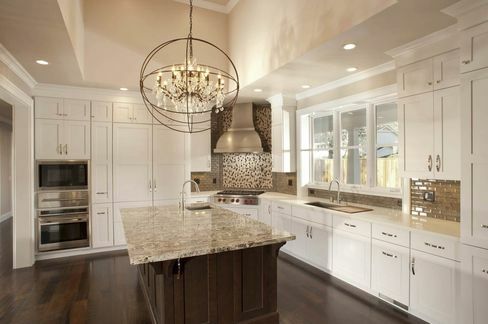 An open kitchen is ranked 32 out of 50 features; fireplace is 29 and walk-in closet is 23. 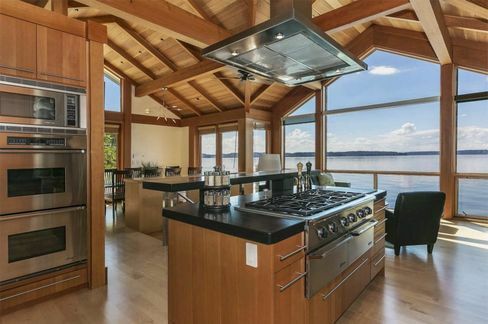 “Outdoor kitchen” proved more likely to entice buyers; it’s number 15. Number 50: the lonely breakfast nook. 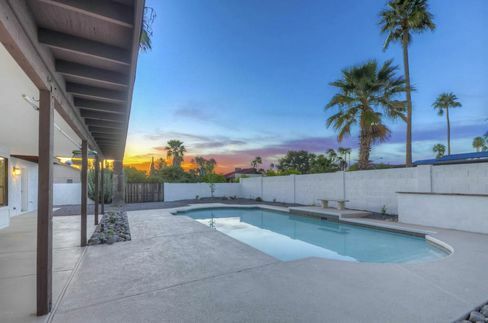 The pool may be prettier than this Phoenix home’s barn doors, but the latter design feature is in higher demand. The Zillow Digs study did account for regional taste. In addition to revealing which features might make a home sell faster, and for more money, the authors note the cities that are rocking these features. Where are you most likely to find a quick-selling, high-priced home with “barn door” in the listing? Not a place known for its rustic, farmhouse sensibility: Phoenix. Pendant lights are big there, too. Not a big surprise: New York had the most recently sold homes with the words “exposed brick” in the listing (4.9 percent higher, 36 days faster).